Why cruise with P&O Cruises? 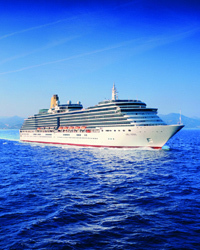 P&O Cruises offer 4* ships, with an authentic British style and are suited to all ages. Their ships include both large and small size ships. With ‘adult only’ or ‘family friendly’ ships, you are able to choose the perfect one for you and have a holiday which is right for you and your travelling companions. P&O Cruises offer a fantastic service and traditional cruise experience, with fixed 2 sitting dining in the main dining room. Freedom dining is also available on board Azura, Britannia, Ventura and Oceana. A choice of alternative dining options are available (some at a supplement) including restaurants created by Marco Pierre White and Atul Kochhar. A more casual approach to dining is available at the buffet restaurants on board. P&O offer cruises of any duration, from short breaks to longer world cruises, sailing from the UK or fly cruises to various destinations. Currency on board is GBP. 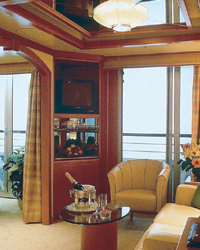 Guests may adjust gratuities while on board at their discretion. Asia, Africa, Australia & New Zealand, Fjords, Baltic, Mediterranean, Canary Islands, Iberian Peninsula, Caribbean, USA & Canada and World cruises.